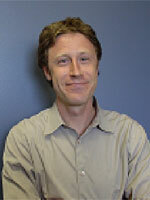 Nick Daneman, MD, FRCPC, M.Sc. Dr. Daneman is funded by a clinician-scientist salary award from the Canadian Institutes of Health Research. His research program uses hospital- and provincial-level data to optimize prediction, prevention and treatment of hospital-acquired infections, with specific themes including: antibiotic stewardship and resistance, Clostridium difficile, infections of critical care and bacteremia. Daneman N, Campitelli MA, Giannakeas V, Morris AM, Bell CM, Maxwell CJ, Jeffs L, Austin PC, Bronskill SE. Influences on the start, selection and duration of treatment with antibiotics in long-term care facilities. CMAJ. 2017 Jun 26;189(25):E851–E860. Daneman N, Rishu AH, Xiong W, Bagshaw SM, Dodek P, Hall R, et al. Antibiotic treatment durations among Canadian critically ill patients with bacteremia. Crit Care Med. Epub 2015 Oct 22. doi: 10.1097/CCM.0000000000001393. Daneman N, Guttmann A, Wang X, Ma X, Gibson D, Stukel TA. The association of hospital prevention processes and patient risk factors with the risk of Clostridium difficile infection: a population-based cohort study. BMJ Qual Saf. 2015 Jul;24(7):435–43. Brown K, Valenta K, Fisman D, Simor A, Daneman N. Hospital ward antibiotic prescribing and the risks of Clostridium difficile infection. JAMA Intern Med. 2015 Apr;175(4):626–33. Daneman N, Bronskill SE, Gruneir A, Newman AM, Fischer HD, Rochon PA, Anderson GM, Bell CM. Variability in antibiotic use across nursing homes and the risk of antibiotic-related adverse outcomes for individual residents. JAMA Intern Med. 2015 Aug;175(8):1331–9. Daneman N, Rishu AH, Xiong W, Bagshaw SM, Cook DJ, Dodek P, et al. Bacteremia Antibiotic Length Actually Needed for Clinical Effectiveness (BALANCE): study protocol for a pilot randomized controlled trial. Trials. 2015 Apr 18;16(1):173.